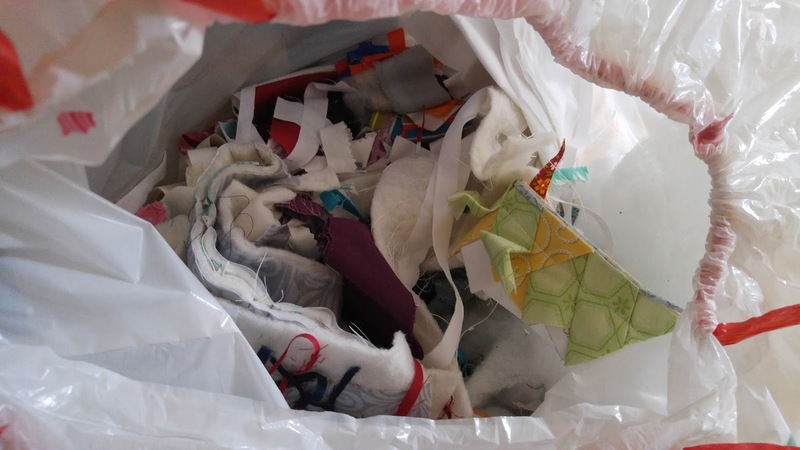 Throughout the year, I save up all my fabric and batting scraps. These are cutoffs from projects that are too small to use on something else. Trimmings from squaring up blocks, batting and backing that's cut off after squaring up a quilt, etc. I just toss them into a trash bag as they are created. At the end of the year, I use "ugly" fabric that I've acquired or fabric that I know I won't use for something else and sew up little "pillowcases" that are stuffed with the fabric scraps and sewn shut. 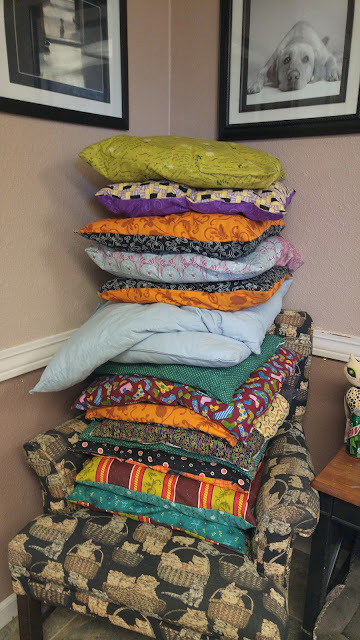 Then I donate them to the local animal shelter to use as dog and cat beds. A "trash to treasure" win! 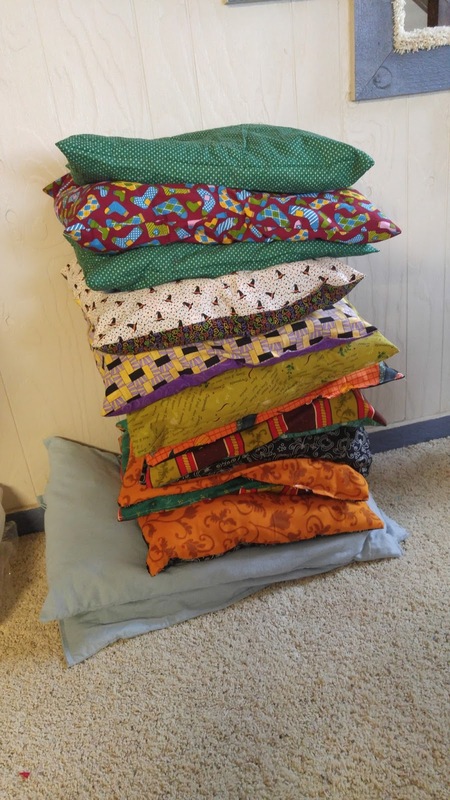 The first beds I make always use any premade pillowcases that we've acquired throughout the year (we use homemade pillowcases at our house, so the premade ones that come with sheets get used for dog beds!). I fill them up with just enough scraps to make a thin "pillow" inside. No need to overstuff! My preferred size after that is two fat quarters sewn together. These are the perfect size for a cat bed, and my shelter prefers them. Then I turn the right sides out and stuff with scraps. No trimming to square up, no ironing, no fuss. I fold the raw edges of the opening to the inside, then topstitch the opening shut. No need to be beautiful here. Just sturdy. 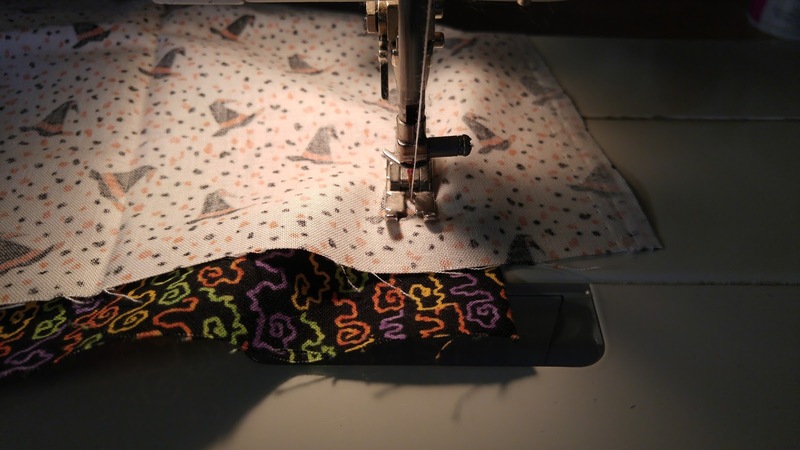 Sometimes, I'll sew large scraps together to make a fat quarter sized piece. 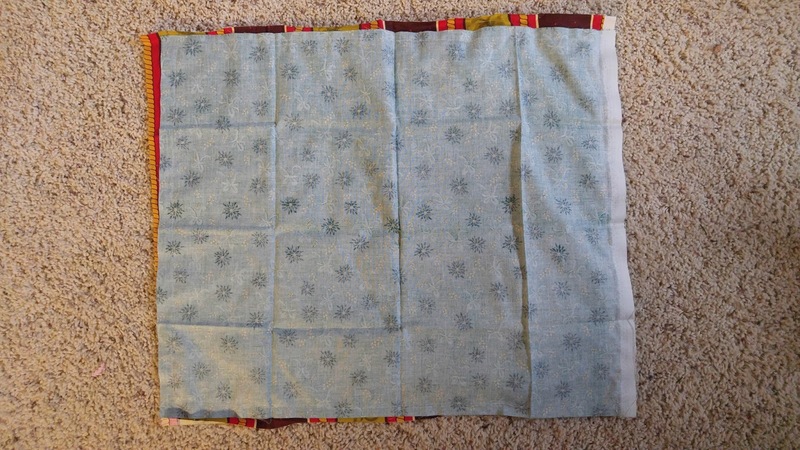 I'll also use a half yard of fabric, then just fold it in half to get the same sized pillowcase. I also have sewn two straight cut quarter yards pieces together to create a half yard piece, then fold in half. This year, I made 15 dog/cat beds! That's a lot of scraps! These are really great! Now I'll be saving all of my scraps of batting to do this too! Thanks for sharing. I have started saving those "little bits" as well. I don't have near the amount you have! I guess I had better get to sewing more, so all the good little dogs and cats have a soft place to land!